Lt. (j.g.) James B. McKee, son of Mr. and Mrs. J.R. McKee, graduated from Frederick High School; Weatherford and Stillwater; husband of the former Vennel Wright. 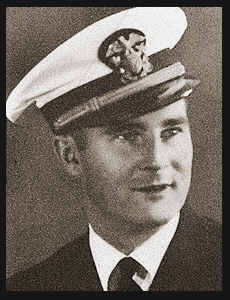 Entered Navy in Sept., 1942, trained in Annapolis, Md. ; served in S. America and S.W. Pacific.